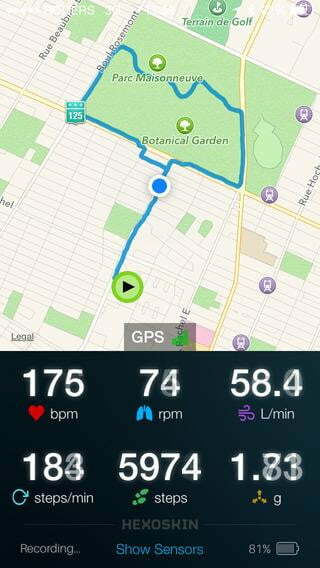 If a fitness band is like an odometer for your body, Hexoskin is like the cockpit in an F1 car. The latest trend in wearable technology is — well, making technology more wearable. 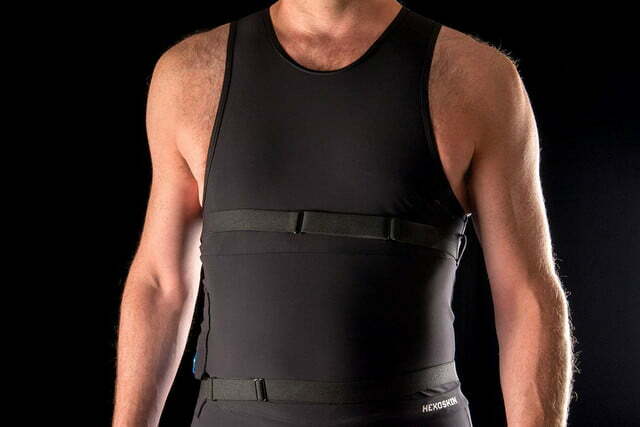 And Canadian start-up Hexoskin doesn’t disappoint with its newly released smart shirt, which employs textile sensors developed with the help of NASA and the Canadian Space Agency to help get you fit. Update on 7-01-2015 by Jeffrey Van Camp: Hexoskin shirts are now for sale at Canadian Best Buys (www.bestbuy.ca/HexoskinSmart). As the name suggests, the shirt is really intended to be a part of you. 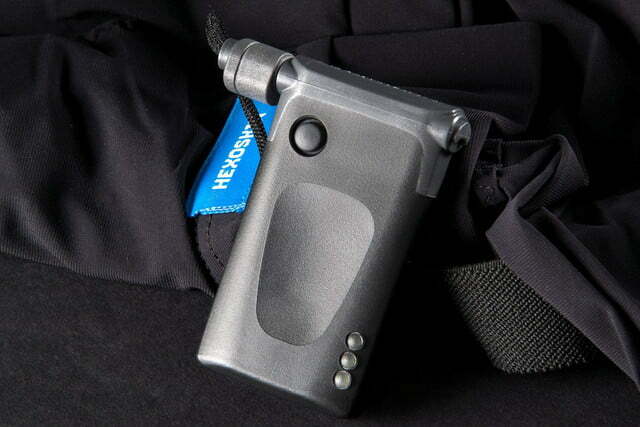 A small Bluetooth device is connected to the fabric sensors and placed in the shirt’s built in side pocket, which holds the device securely for real-time tracking. 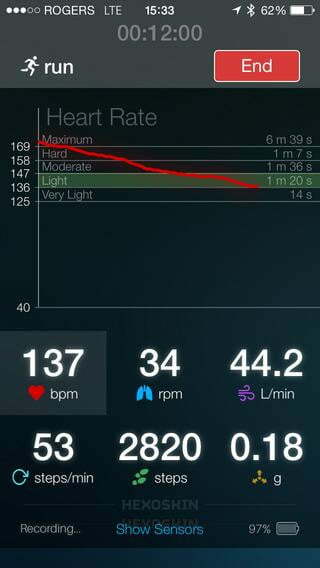 During the day, Hexoskin measures heart rate, heart-rate variability and recovery, step count, calories burned, respiration (breath rate), and a bewildering array of additional metrics including VO2 max, breathing volume, activity level, cadence, and more (whew!). At night, the shirt can track sleep and movement, including what position you’re snoozing in, and adds cardiac and respiratory activity. All data syncs to an app — iOS and Android — via Bluetooth, or to an online dashboard that can be monitored by a remote coach or trainer in real time. The dashboard also lets users compare their performance against other athletes in the Hexoskin network or historically against past personal performance. Users can share data with other popular third-party apps and software or share their training session data on popular social media sites like Facebook and Twitter. Hexoskin’s open API is free to researchers and third-party software and hardware developers too. It’s clearly a robust fitness device. Perhaps the most sophisticated on the market. 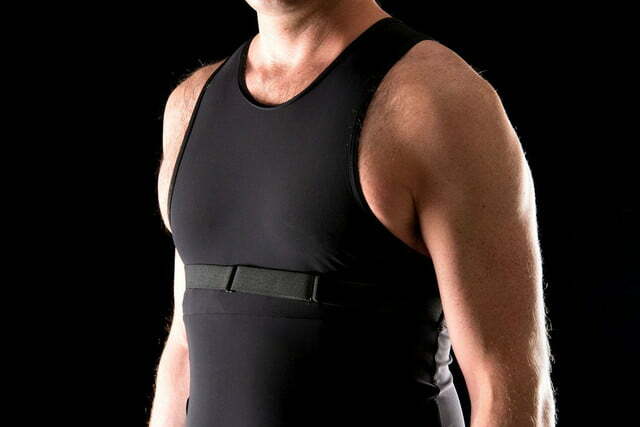 But will this smart shirt help shrink your waistline, or just your wallet? The Hexoskin is waterproof and made with breathable, high performance Italian fabric. It dries quickly, and does a pretty decent job regulating heat and wicking sweat (though not as well as traditional workout apparel like Nike DriFit or Adidas Clima), despite the fact that the shirt is not vented. The fabric is noticeably thicker and heavier than most workout shirts, and thus takes some time to get used to wearing. The shirt is machine washable (once the Bluetooth device is removed), is chlorine-resistant, and provides protection against UV light. After multiple washings, the fabric seems to be quite durable. Hexoskin is worn just like a shirt. Simply undo the straps and pull it on over your head. Once on, fasten and adjust the straps to pull the shirt closer to your skin. They tighten just below the chest and abdominal areas and assist in keeping the electrodes in place to collect accurate data. As the name suggests, the shirt is really intended to be a part of you. It hugs the body like a second skin, and is intended to be worn under an additional garment. The shirt is available in six sizes for men (small to 3x) and five sizes for women (x-small to XL). I might advise going up a size: I tested Hexoskin in a large (I’m 6 feet and 170 pounds); a medium would have been far too small, and an XL may be more comfortable in the upper torso, but fear it too loose and too long in other parts. But once on, the shirt is fairly comfortable despite its slightly “off” fit. It nearly goes without saying that Hexoskin’s shirt is fairly easy to use – at heart, it’s nothing more than a shirt, albeit a snug-fitting, technical one. 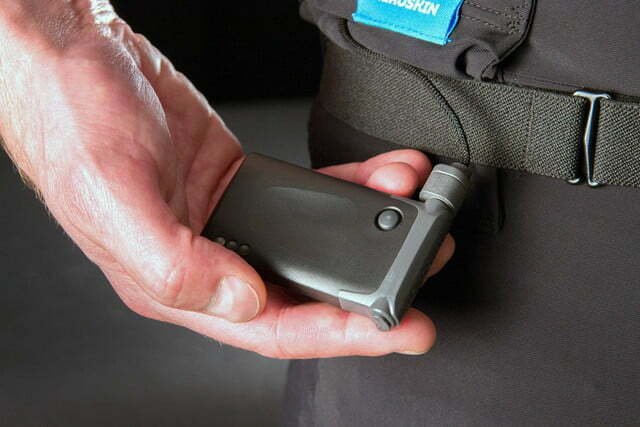 The Hexoskin device itself (the sensor box, that is) nestles into a small pocket on the right side of the body. It easily connects with a built-in cord that’s not particularly invasive, though admittedly, it does take some getting use to. 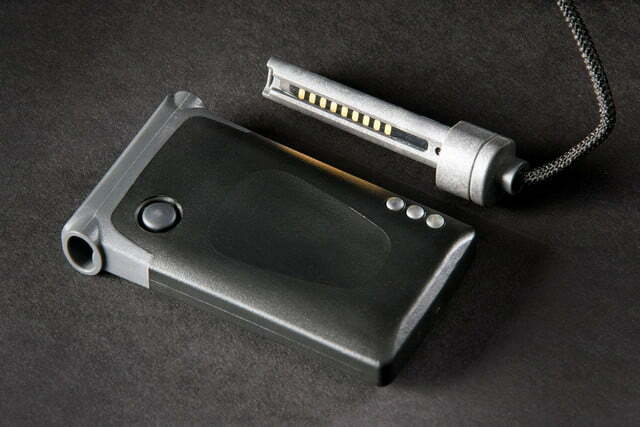 The device itself measures 1.6 x 2.9 x 0.5 inches and is pretty lightweight – about 40 grams. Despite its relatively small size and weight, the presence of the device (sensor box) is certainly noticeable, especially when doing high impact activities like running or jumping. More stationary activities like cycling, not so much. And the tight fit around the chest can at first feel restrictive, though this sense passed with time. While the shirt uses smooth seams to prevent chafing, I still found the material more abrasive on the skin than traditional workout apparel on my first few runs. The shirt is very breathable and its technical fabric does a good job of wicking sweat away from the user. 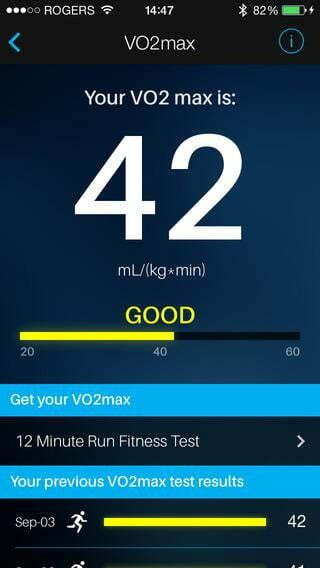 It’s must-have data for the serious athlete or quantified self-junkie who understands its value. Fit aside, I quite like the Hexoskin compared to other smart shirts and devices that I have worn – for example, the OMsignal or Athos. Both competitors have a much truer fit and the fabric is more akin to my cycling gear (a form-fitting cycling shirt and bib) than Hexoskin. I also found the fit of both to be more consistent throughout. Hexoskin in comparison, is tremendously fitted in the shoulder and chest, but for me, a bit looser around the lower torso and waist. 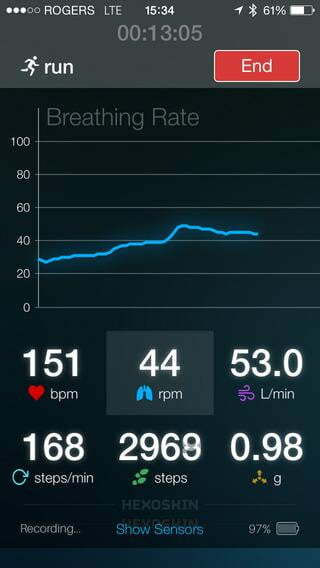 But I love the fact that it provides real time, immediate feedback through its companion app. Simply pair your phone and application with Hexoskin and you’re good-to-go. Real-time tracking requires that you carry your phone with you during your workout. But if you use your phone to listen to music like I do, it’s not a big deal. Data can also be viewed through an online dashboard. Data in either format can be shared socially and with coaches for further analysis. 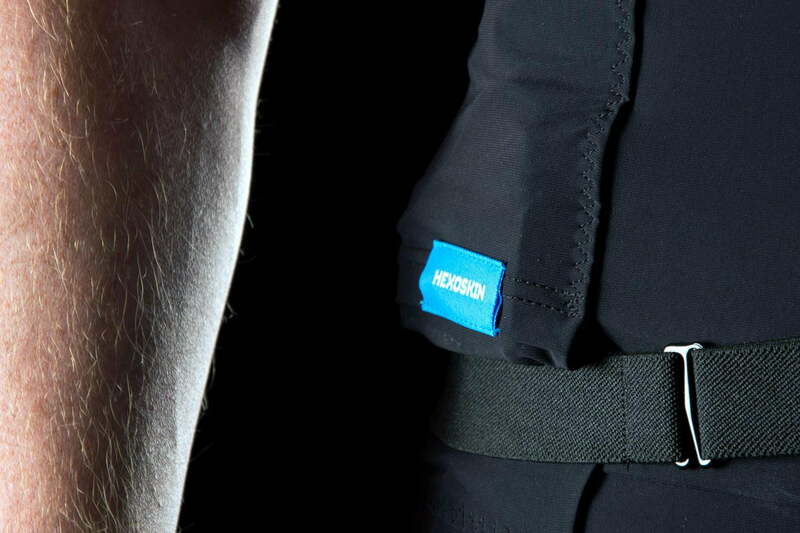 Capable of measuring over 42,000 data points per minute, Hexoskin calls itself the ultimate data authority for athletes and exercise enthusiasts. Comprehensive tracking of this magnitude may seem like overkill to some, and perhaps it is. But it’s must-have data for the serious athlete or quantified-self junkie who understands its value — and how to apply it to a training regimen. By reviewing this data before, during, and after workout sessions, users can push themselves to their maximum level while avoiding fatigue, overtraining, and injuries. During sleep, Hexoskin can track sleep quality, movement, sleeping positions, cardiac and respiratory activity. This is important for athletes: It’s during sleep that our bodies repair and grow muscle. 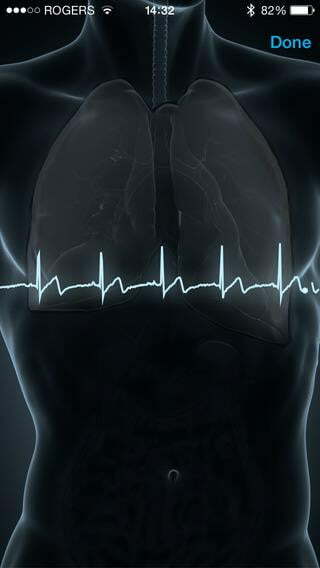 A healthy sleep cycle is almost as critical as an effective training program. I found it quite difficult to sleep with Hexoskin. Despite this, I found it quite difficult to sleep with Hexoskin, I found the shirt’s tight fit and sensors quite uncomfortable, even after more than two weeks of wear. The device charges with an included USB cord, and it does so quickly – it’s fully charged within an hour. Notably, the smart shirt touts 14 hours of battery life when training, and 150 hours of standalone recording capabilities. 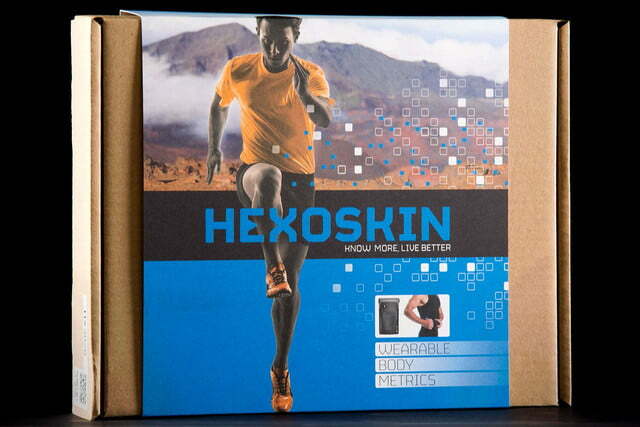 The Hexoskin kit is available for both men and women and is currently available in the US. The kit includes everything to start measuring, tracking, and improving performance: the shirt, the Bluetooth device, and the app. It sells for $399; additional shirts (without sensor device) can be purchased for $169. 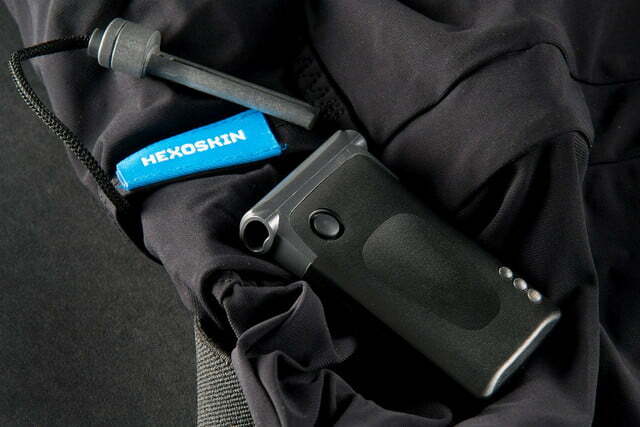 Hexoskin is a great product, capable of accurately tracking an array of biometric data. But at $399, this telemetry does not come cheaply. It’s simple to use, wears well, has tremendous battery life, and is a huge step forward for any athlete or weekend warrior looking to track performance and push to the next level.